We are a small, friendly and unspoilt campsite near to the historic town of Ludlow. The camping fields are large and there is plenty of space for you to camp away from your neighbours. If you are in a group you can all camp together and we have plenty of hook ups so tents and caravans can be together - perfect for those family or friends get-togethers around the camp fire. Monstay is a traditional working farm set within the beautiful surroundings of the Mortimer Forest. From the camp site there is easy access to the forest, where you can walk, mountain bike, bird watch, nature watch or hunt for fossils. The farm and forest are rich in wildlife whether birds, mammals, butterflies or reptiles are your interest and we can guide you in what there is to see... Or if you would rather, just relax and look at the fantastic views or the stars! It is very dark at night with no street lights nearby. 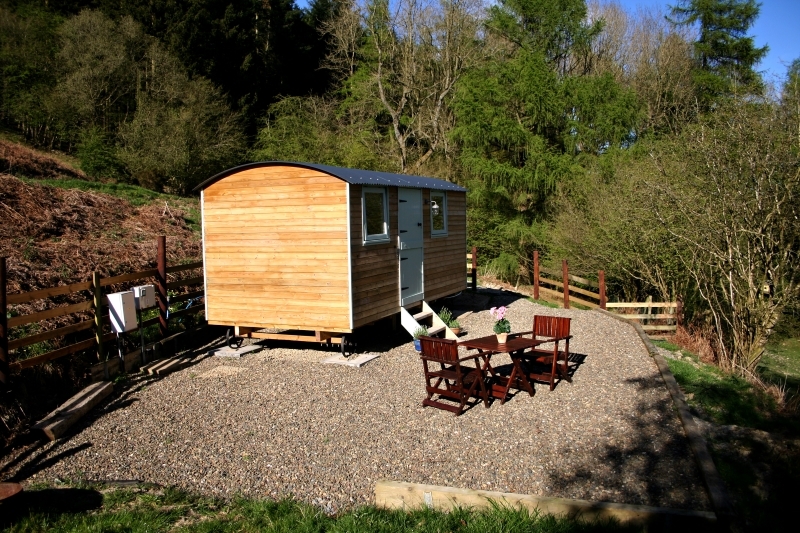 Experience your very own rural glamping experience with our new Shepherds Hut. Tucked away in a quiet corner of the farm overlooking Mortimer's Forest, the hut is fully equipped with running water, electricity and a bathroom.